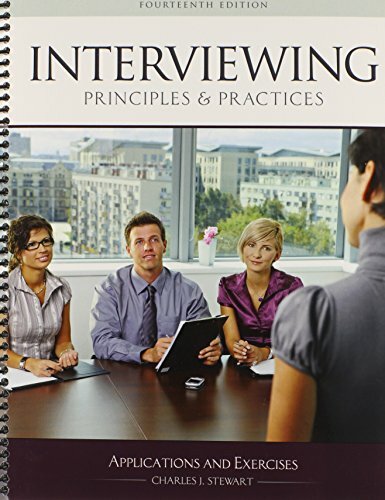 Courses in the principles and practices of interviewing, by their nature, require a variety of oral and written exercises and applications that build interpersonal skills in the interviewing context. organizations such as the Internal Revenue Service, the American Electric Power Company, Libby Foods, the Indiana University School of Dentistry, and the United Association of Plumbers and Pipefitters. He is currently a Court Appointed Special Advocate for children (CASA).